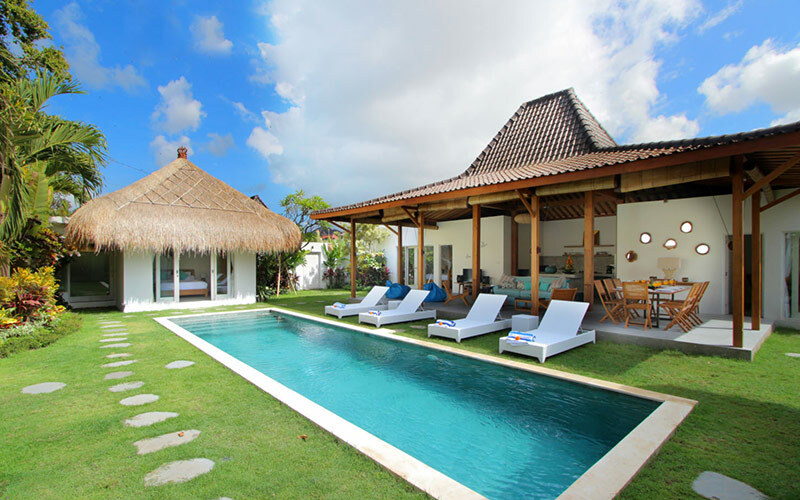 The villa is located in a quiet area of the resort of Seminyak, between Oberoi and Dhyana Pura. A few minutes’ walk from the beach, restaurants and bars, this property is the ideal place for your holiday in Bali. Kalamansi is a villa where eclecticism is omnipresent. You can find it in the fusion of traditional and modern architectural styles, but also in furniture such like the chairs Louis XV style painted with bright colors. You have review for Villa kalamansi?